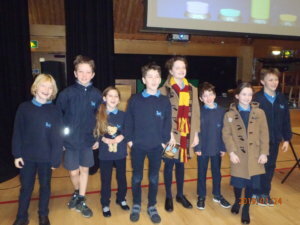 This week eight Unicorn children pitted their wits against a tough field of schools at Manor House School in Little Bookham. One of our teams finished a fantastic second, only edged out by a strong St. George’s team. The children can be extremely proud of their performance – both teams were competitive throughout in a very exciting competition. A huge congratulations to all those who took part.